What’s more fun than a summer lobster boil?! Break out the biggest pot you’ve got! Pour the water into a large pot and add the garlic, lemons, and salt. 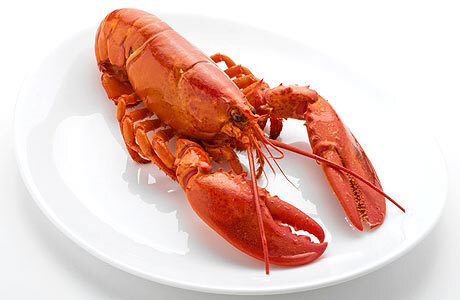 Toss the lobsters in and boil for 20-25 minutes depending on how large they are. I’d say 20 minutes per pound and then 5 minutes per additional pound. They will turn a very bright color. Remove the lobsters from the pot, and place in a colander. Give a quick rinse with cold water. Serve with drawn butter or garlic butter!